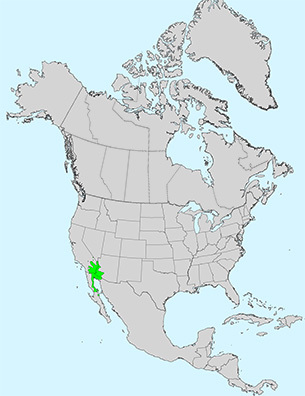 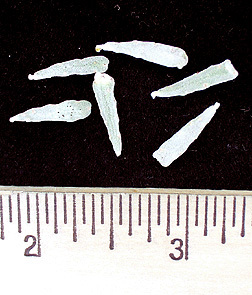 Leaf:Nearly leafless, alternate, deciduous, small wedge-shaped, broadest and flat across the tip, 1/3 inch long, gland dotted, wavy edges, fuzzy, light blue-gray. 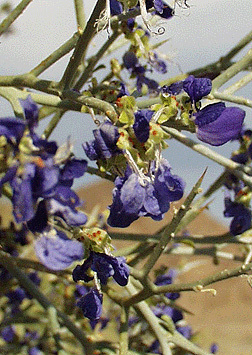 Flower:Attractive, pea-like, indigo-blue, 1/4 inch long, occur along the twig in loose clusters, appearing in late spring and early summer. 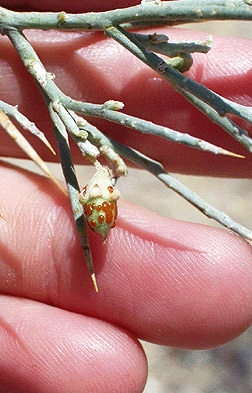 Fruit:Small, odd-looking one-seeded legume, 3/8 inch, egg-shaped, pointed end, covered in dark red glands. 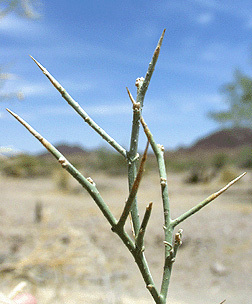 Twig:Slender blue-gray, covered in small gray hairs, spine tipped. 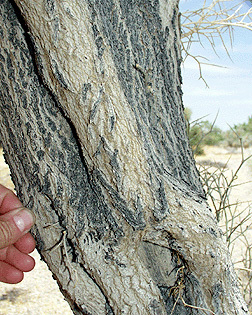 Bark:Light brown and smooth when young, developing darker rough ridges. 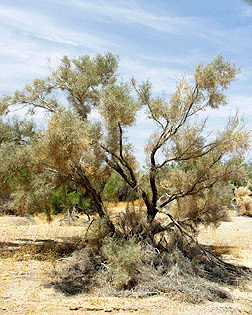 Form:Large shrub or small tree with many spiny branches and a crooked trunk, up to 20 feet tall.